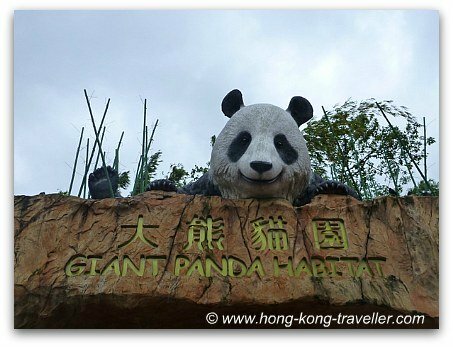 Ocean Park has three prized residents, the cute Giant Pandas which are a magnet to visitors and a must-see, specially if you have never seen these rare and endangered creatures before. 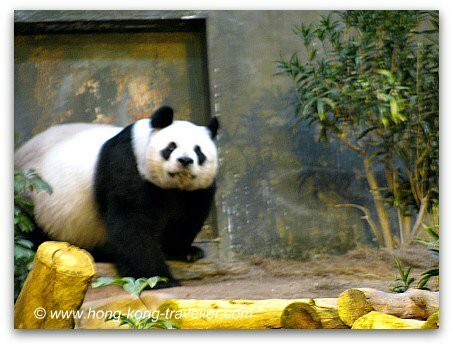 The Giant Panda is native to China where it is considered a national treasure. 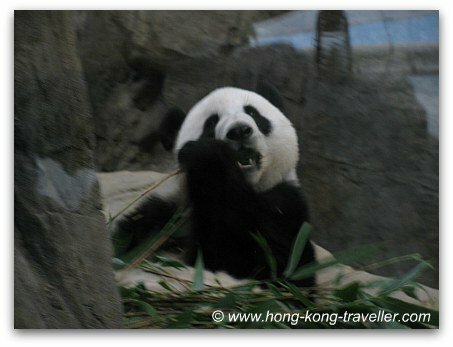 Although their numbers are not well-documented, their total world population is estimated between 1,200 to 2,000 pandas, the majority of them are found in China's Sichuan province. 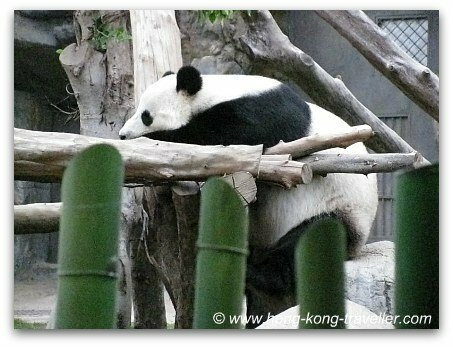 There are an additional 120 pandas in zoos throughout the world. 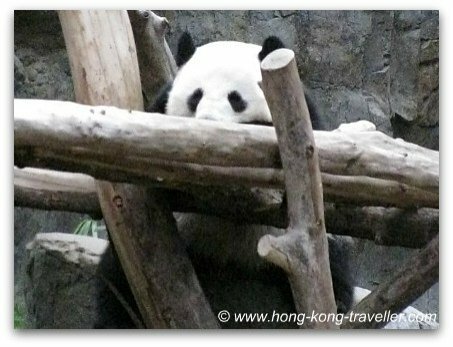 Seeing one is really a gift, Ocean Park is very fortunate to have four of them. There are two exhibits, both in the Waterfront (Lowlands). 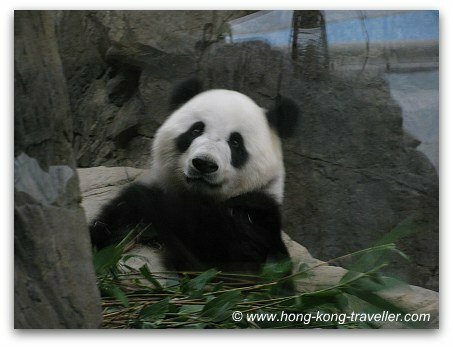 The first one and most obvious one is the Hong Kong Jockey Club Giant Panda Habitat, which you find next to the Grand Aquarium. 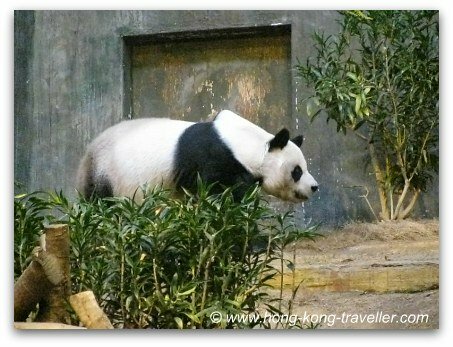 The Giant Panda Habitat is home to Jia Jia (RIP 1978-2016) (female) and An An (male), this couple of Giant Pandas arrived in Ocean Park in 1999. 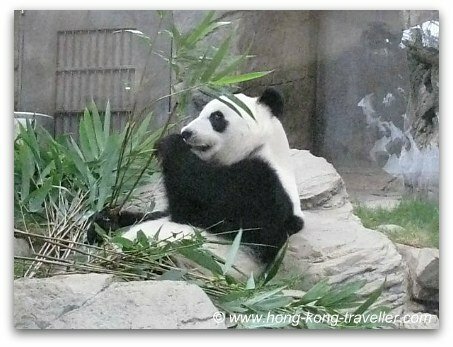 More recently in 2007 to commemorate the 10th anniversary of the handover of Hong Kong from Britain, China sent another couple of Giant Pandas, LeLe (male) and Ying Ying (female), and new quarters where built for the new arrivals. 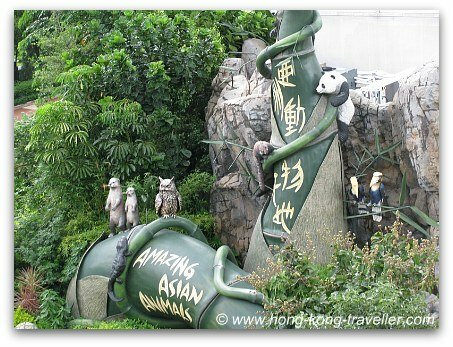 They are housed at the Amazing Asian Animals complex, which is also located in the Waterfront. 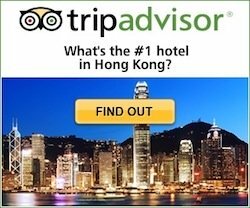 So make sure to check out both exhibits! 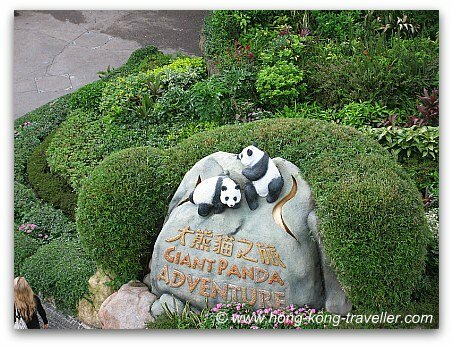 See you at the Giant Panda Adventure! 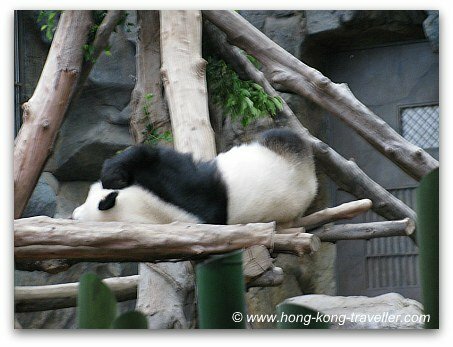 At the Amazing Asian Animal Exhibit you will also find a pair of the rare Red Pandas.